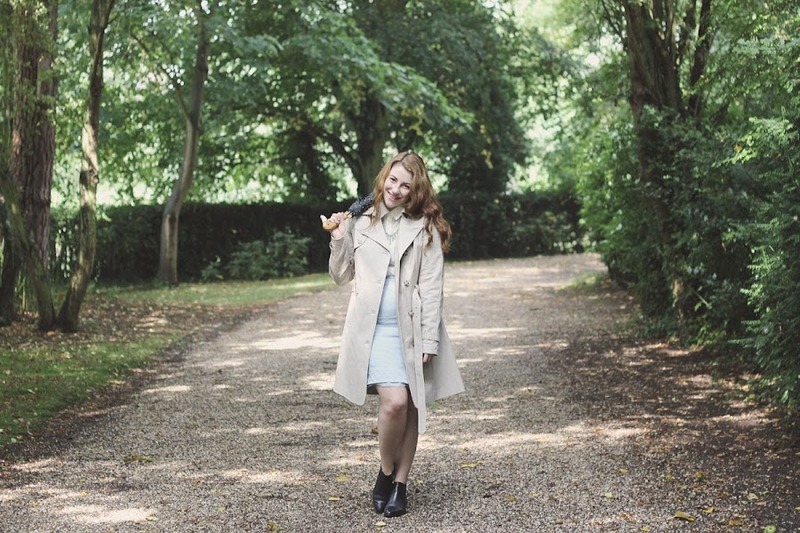 Trench coat: c/o Laura Ashley. Blouse: £4.50, Jack Wills, via charity shop. Pencil skirt: £1.50, Jigsaw, via charity shop (I know, I need to sew the hem up!). Chelsea boots: £8, Bally, via charity shop. Umbrella: mum's (similar here). 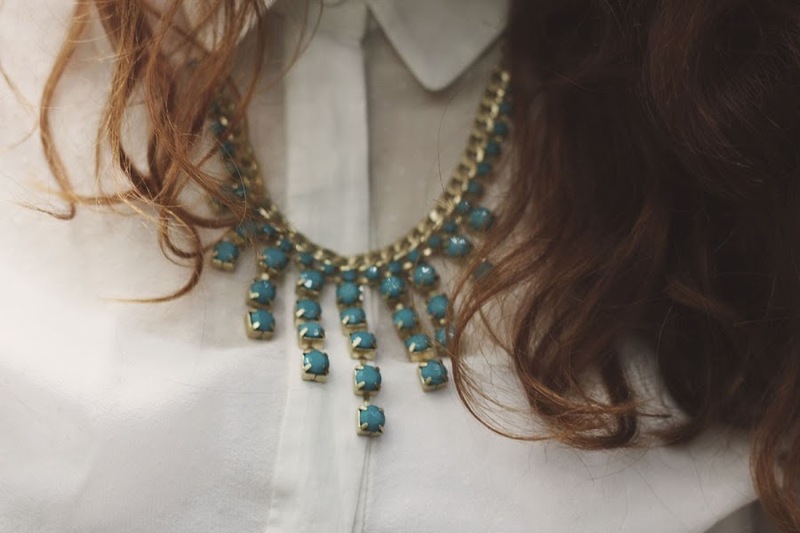 Necklace: c/o Laura Ashley. Rings: Topshop and vintage. Nail varnish: rainy day, Topshop. 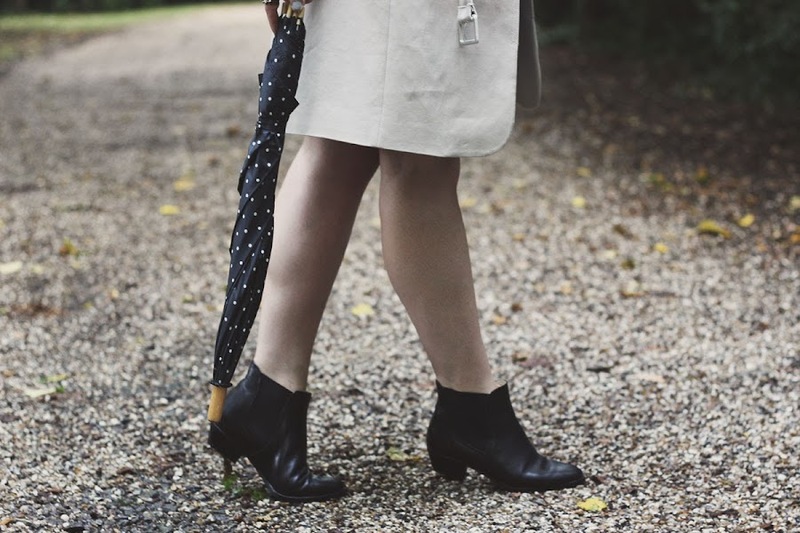 This blog is slowly but surely turning into a series of weather observations, but when you're British that's hardly surprising - it's a bit soggy, isn't it? Although I can never be bothered to carry an umbrella round as they're so encumbering when wet, sometimes I'll have to admit defeat, particularly when I came across my mum's old Mary Poppins style duck umbrella. 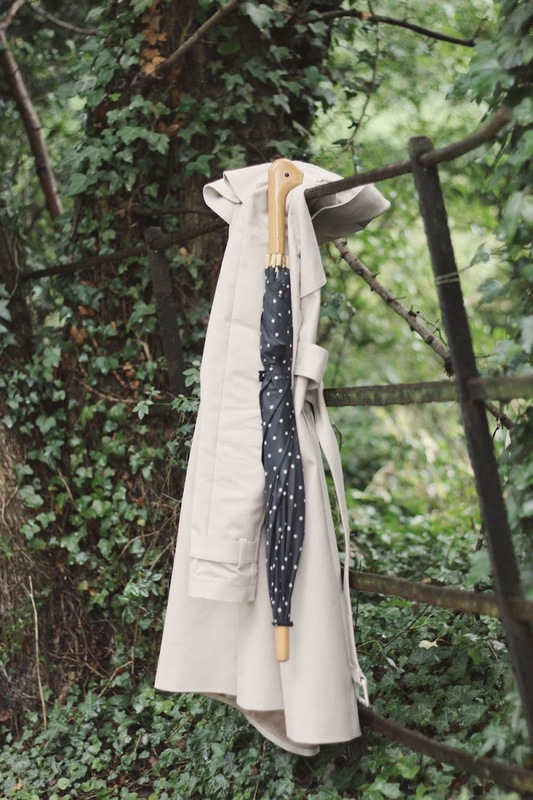 Underneath its boughs (or, um, metal rods) I wore a classic trench coat, which Laura Ashley asked me to style up, along with four other bloggers. 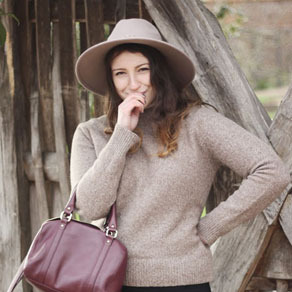 It's hardly difficult to decide what to wear with something as classic as a trench, particularly as the camel goes with pretty much everything. 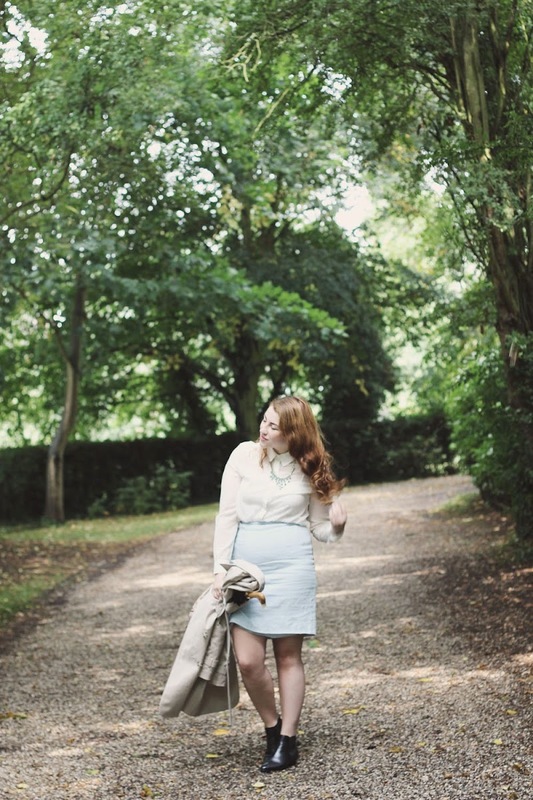 I chose a completely charity shop ensemble (coming to a grand total of £14! ), keeping the palette muted to show off the piece I entitled my "raindrop" necklace. I mean, if you're going to go with a theme, you might as well go 100%. I also had a chat with the Laura Ashley girls about the new furniture collections a while back, so feel sure to click through and listen to me rambling about chandeliers! You are the cutest! 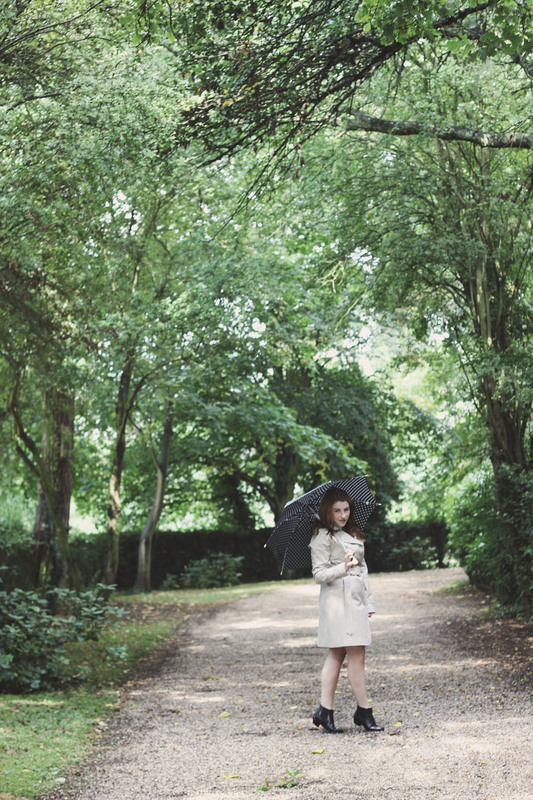 I love these pictures and your brolly! You look gorgeous! I love the coat. Pretty skirt, too. You just look so great. You did well to get all those pieces from charity shops, the brolly is particularly nice looking. I defy anyone living in the British Isles to not be even a little obsessed with the weather! 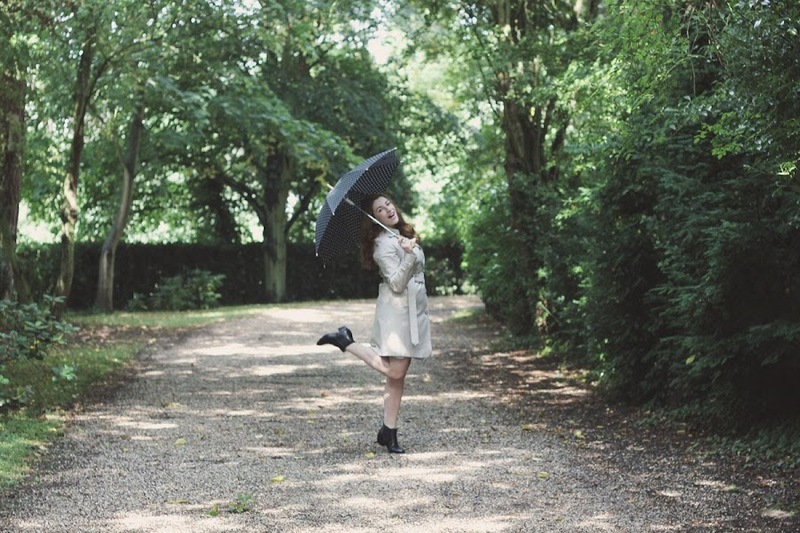 I'm also a little obsessed with your umbrella :) Thanks for your lovely comment on my blog! Seriously what lovely photos, thank you for leaving a comment on my blog as i have now been introduced to your lovely blog! 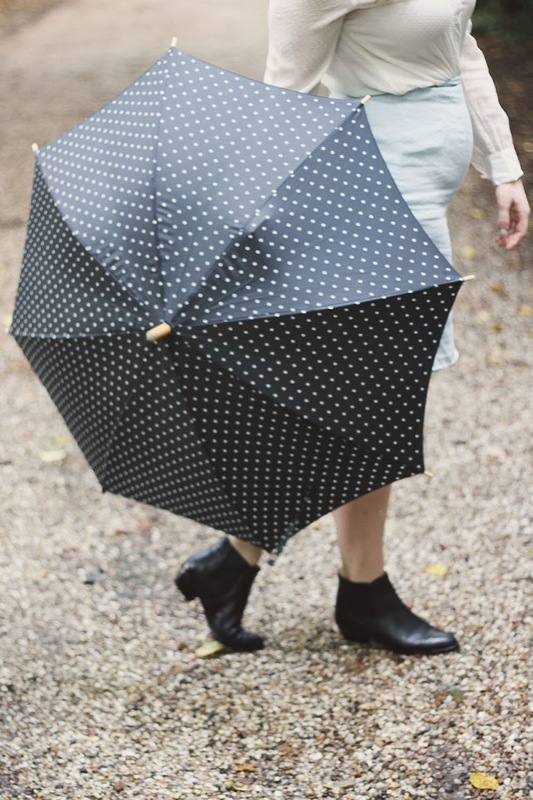 I love your polkadot umbrella and classic trench- you always look so polished! And this scenery is just beautiful.